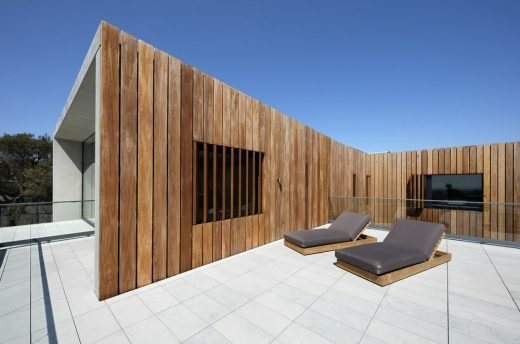 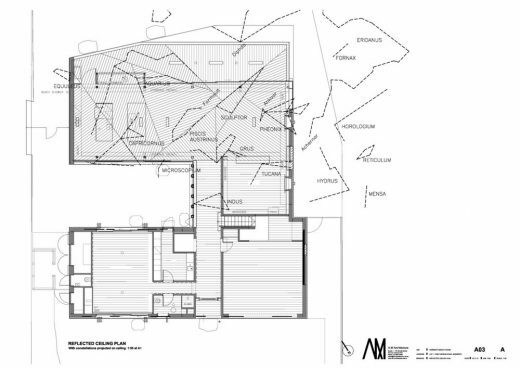 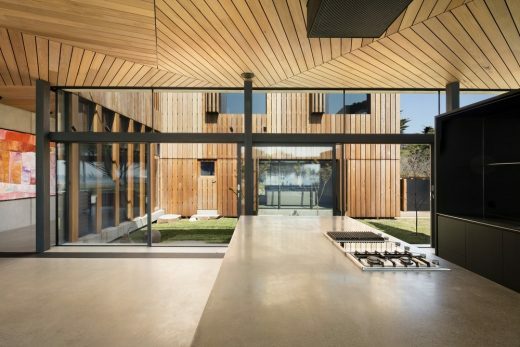 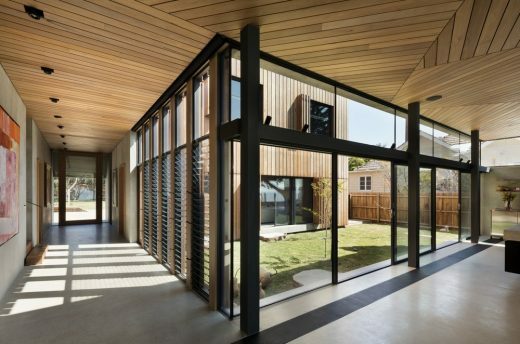 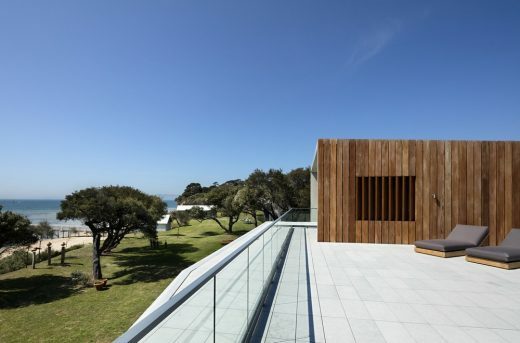 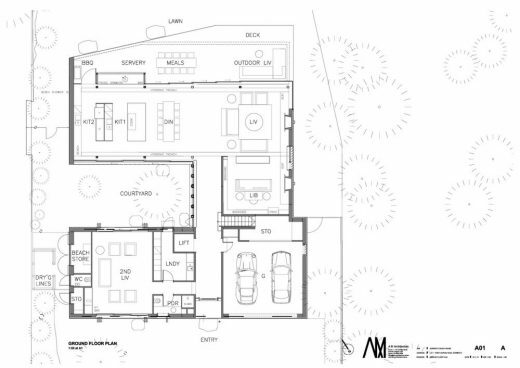 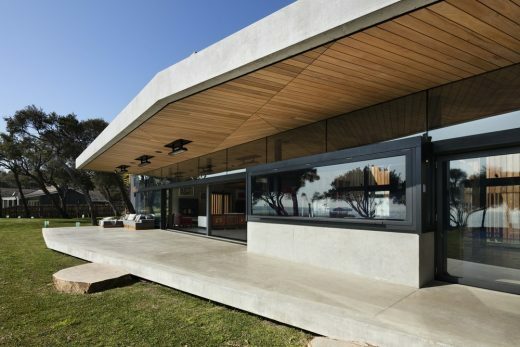 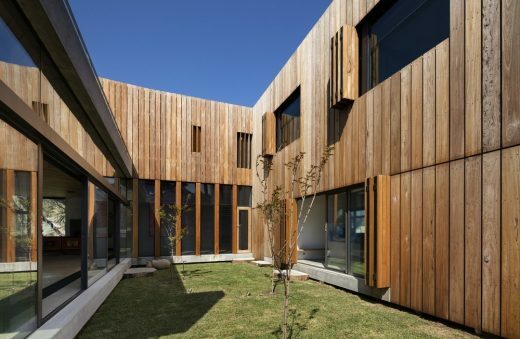 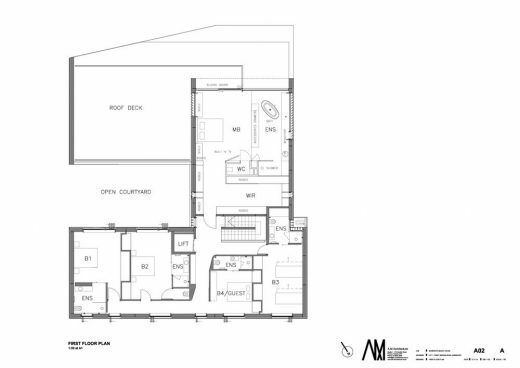 Sorrento Beach house is a new dwelling located on Victoria’s first settlement site of 1803, on Sullivan’s Bay. 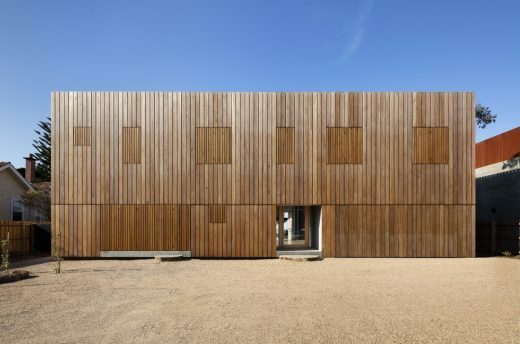 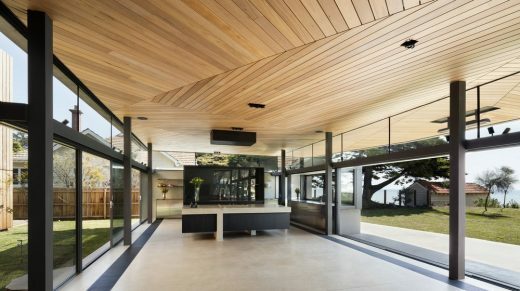 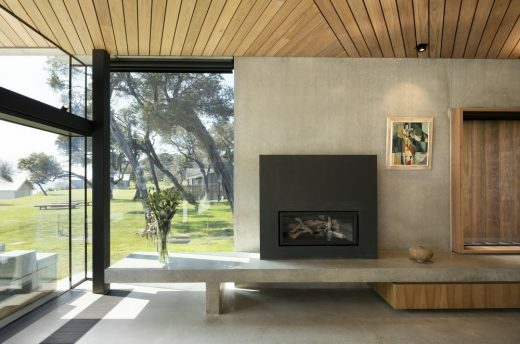 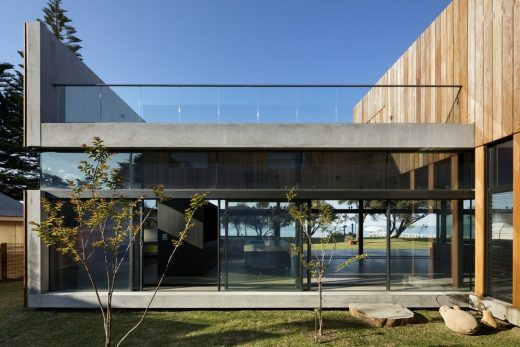 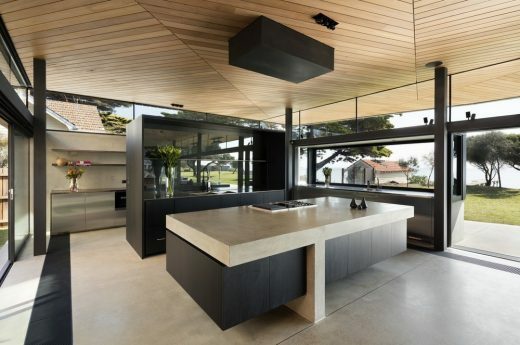 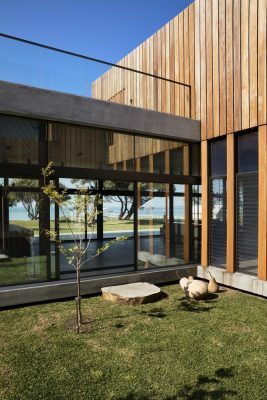 The beach house begins as an austere and robust object in the landscape which begins to relax and respond to its natural environment as it approaches the water. 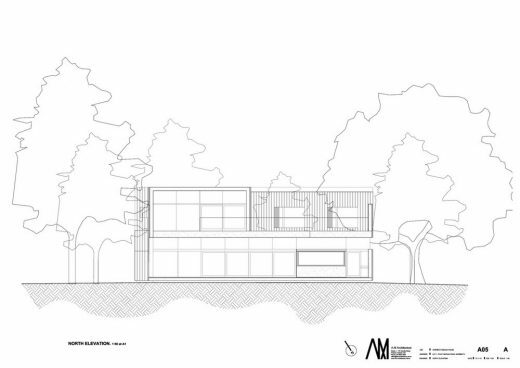 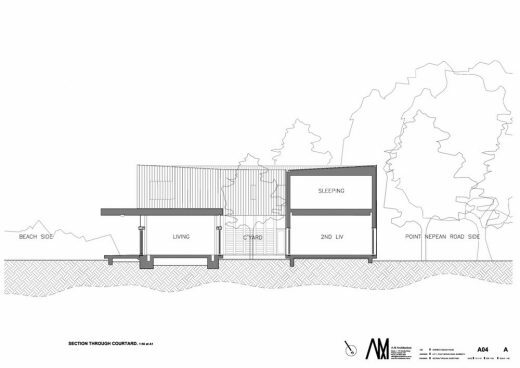 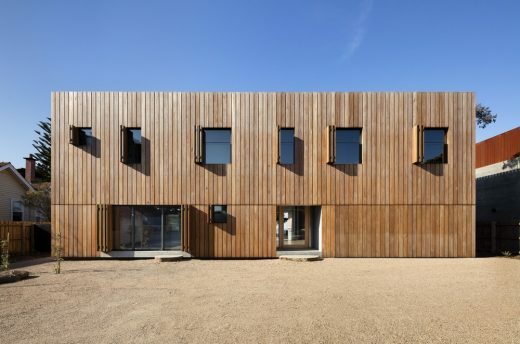 Considering the site’s history, we thought the exterior should not be playful. 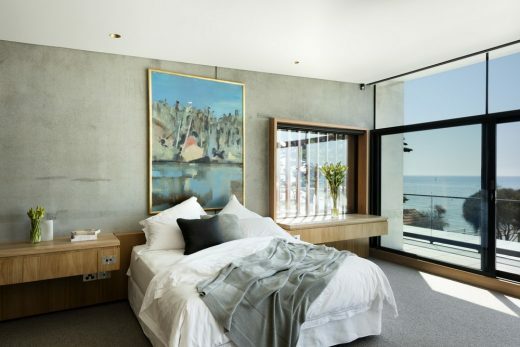 It should be heavy and robust as one would wish for a ship, or pier, and It should be somewhat austere to avoid polite domestic gestures which seemed out of place against a sombre historical context.